What do you know about chatbots? Have you installed one on your mobile phone? Siri or Cortana, for example? Chatbots are all the rage this season. Almost every second person actively uses them. Especially, for business people, chatbots are the indispensable attributes as they allow to automate routine tasks and establish effective communication within organizations and with customers. So, let’s get acquainted with chatbots through interview. – Chatbots, who are you? – Today, the chatbot apps development is the most popular and hottest IT trend. Using virtual messengers, you’re able to do almost everything: check the weather, order food, consult, conduct monetary transactions, and other important things. Moreover, if you assume that chatbots are used only for entertainment purposes, you’re not completely right. As mentioned above, modern businesses maximize productivity by means of messengers. As you know, chatbot is a kind of assistant, which communicates through text messages. It understands what you write, say, and answers questions, or even immediately performs the required actions. These features help companies save time and concentrate on more pressing issues. – The first time, the “chatbot” term was used in 1994 when the developer Michael Molding created the electronic assistant – Julia. At that moment “Julia” didn’t perform superhuman tasks due to the poor level of technical progress. It has only analyzed the text written by users and made something more or less relevant to the matter. Thanks to the Internet, people became well-informed about chatbots at the late 90’s – early 2000’s: in IRC and IM they told jokes, conducted quizzes and “ban” the malicious violators of chat rules. Also, many people believe that the first chatbot was a program called “ELIZA”. It was developed in 1964 by Joseph Weizenbaum, a Professor at the Massachusetts Institute of Technology. ELIZA tried to simulate a user’s interaction with a psychotherapist and often astonished the patients with the amazing plausibility of its work and phrases like: “Do you want to talk about this?”. After that, developers all over the world caught onto the chatbots boom and made many attempts to create similar virtual interlocutors, but the final products were quite simple and users could easily recognize that they were dealing with a machine. All in all, the technical progress fructified chatbots app development, and currently we’re able to find a messenger for every taste and color – The Best Chatbot Apps Powered by AI. – Are you really so smart? – There are two types of chatbots. The first type uses specific rules, while the second one uses Machine Learning. We’d like to remind you how ML is improving mobile app development. A silly chatbot is able to respond only to very specific commands. For example, if you write abstract phrases, it will not understand what you mean. In other words, silly chatbots work based on pre-written keywords. A developer should write each command separately, using regular expressions or other forms of string analysis. A smart chatbot with the help of Machine Learning understands not only commands, but also the language itself. In this case, instead of pre-prepared answers, a robot provides correct suggestions on a defined issue. In addition, all the words addressed to the bot are recorded for later processing. These chatbots become smarter during conversations with real people. – How to develop you? – Typically, the chatbot works as a support person in a help desk. The algorithm of this service is quite simple. When a user runs the app and enters a question, for example, “What time will this store open tomorrow?”, a chatbot analyzes the available information and responds “This store will open at 11 a.m o’clock tomorrow”. Or, perhaps you’ve ever asked Siri or Alexa chatbots about the weather in your city? Using your location, they provide you with a detailed weather forecast. Smart chatbots use the power of AI, and have a learning brain. What’s that mean exactly then? The more you interact with them, the more intelligent they become. If we managed to inspire you to create your own chatbot, here are some useful tips on chatbot development. BotKit – the most popular set of tools for creating bots. Bottr – a very simple framework written in Node.js with a ready-made application for testing. motion.ai – a service for creating chatbots with the support of different platforms. Chatfuel – a tool for building Facebook Messenger or Telegram bots without any code. wit.ai – a service that perceives text and voice messages, and applies natural language processing to manage responses to user requests. 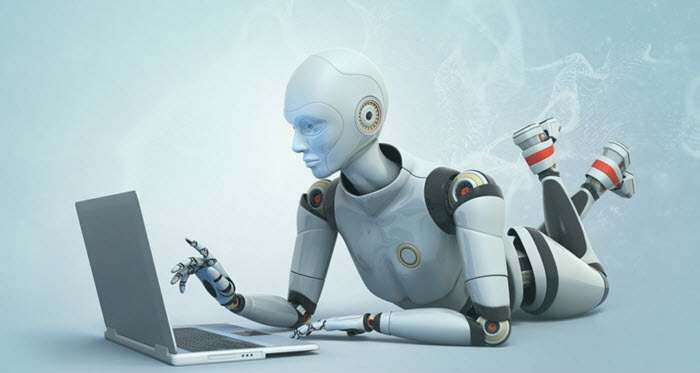 The chatbots can be developed in any programming language designed for creating a web API. The most widespread option is Node.js or PHP. At the same time, there are many libraries for creating chatbots written in Java or Python. The scheme is common: the backend receives the message, processes it, thinks of an answer, and responds to the user. The interesting fact is that you can develop your own chatbot within a ready system. For example, it can be part of Facebook Messenger, Slack, Telegram, Realtime Chat, etc. Note that you’re not limited to one platform: the same bot can work on several platform. – The growth of chatbots is progressing at a breakneck pace. Already now we can see how rapidly the use of messengers is increasing. As the mobile app market pushes this technology forward, interactions with chatbots become more and more sophisticated. Maybe, in the future, chatbots will understand not only you and your personality ; perhaps, they will also predict possible problems related to your business, product or service. Furthermore, thanks to a great variety of tools and software development companies, all of us have a chance to create our own virtual assistant for improving business processes and bringing innovation to society.